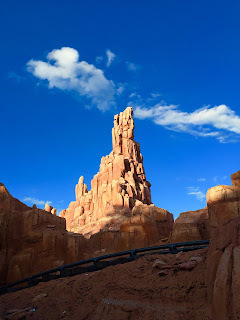 I'm always looking for new angles of Thunder Mountain, as it is one of my favorite photo spots. I took this shot while riding the attraction last night. I was near the base of the second lift hill when I snapped this picture.